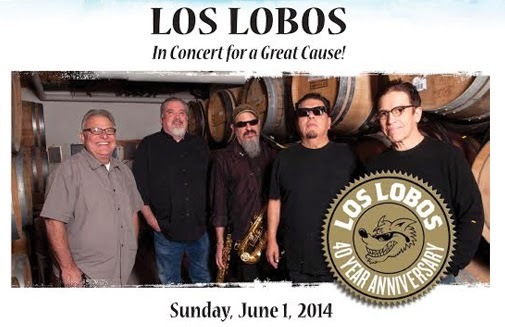 The Torrey Pines Kiwanis will be presenting a gift of $50,000 to support watersports programs for persons with disabilities at MBAC at a very special concert featuring Grammy award-winning rock band Los Lobos, on June 1 at the Illumina Outdoor Amphitheater. This is a rare opportunity to see a great band in an amazing intimate venue, all while benefiting San Diegans with disabilities. In addition to the $50,000 gift the Torrey Pines Kiwanis will donate 10% of tickets sold for the concert with coupon code: MBAC. Tickets for the show are $45 per person for general admission and $95 per person for VIP admission. VIP tickets include stage level table seating, street taco buffet, private no host bar from 5PM - 6:30PM, and two weekend passes to the La Jolla Festival of the Arts on June 21-22 at UCSD's Warren Field. Tickets can be purchased only at www.ljfa.org. Parking is complimentary for the concert and festival. Doors open at 5 p.m. Performances will start at 6:30 p.m. with the U.S. Navy Color Guard presentation, followed by the highly acclaimed youth band Mariachi Costa Azul of Chula Vista, and Los Lobos at 7:30 p.m. Intermission festivities will include a live auction with two guitars autographed by the band. Attend a great concert and support MBAC programs for persons with disabilities by purchasing tickets today!